A few weeks back we unfortunately lost a mother cow. The calf was old enough, barely, to be weaned. Nevertheless, the calf turned out to have different ideas. Something remarkable happened. Typically mama cows push, none too gently, interloping calves away from the milk bar. To our great surprise, we found both the cow’s own calf and the orphaned calf suckling the generous mama cow. I have never seen this before, nor have I read about it. The general rule is that a mama cow identifies only with her own calf, something to do with smell. I suppose every rule has an exception and this one made me feel really and pleased for the orphan. Thought you might like to see this. 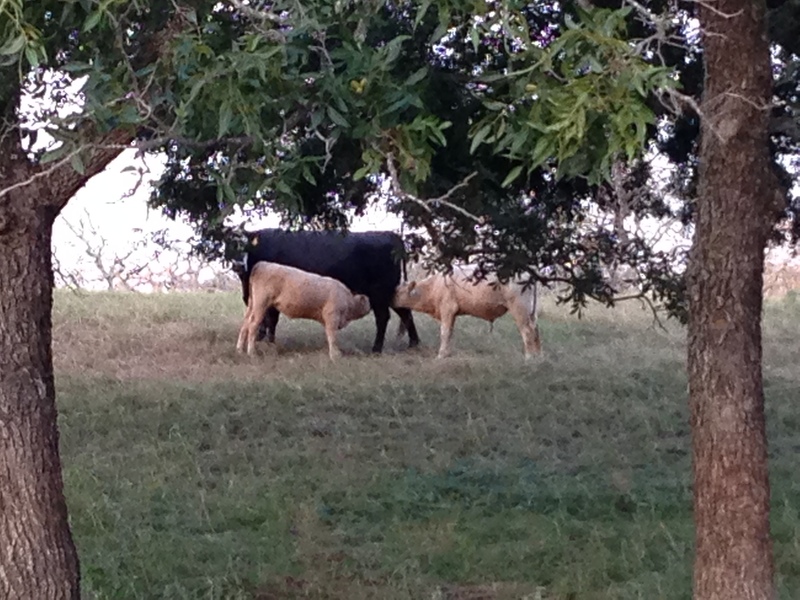 Life is good on the ranch.